The Clansman PRC-320 was used by the British Army and Cadet Forces in the Falklands and Gulf Wars and, since that time, I’ve always wanted one. 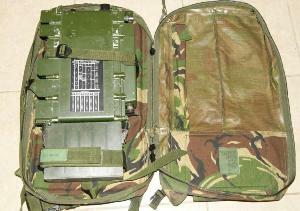 What’s commonly known as a Combat Net Radio (CNR), the PRC-320 system can be used as a manpack (backpack) (See right) or vehicular radio. It can TX/RX from 2000 kHz up to 29999 kHz so it pretty much covers the whole HF spectrum, including ham bands and the 11m band too. The PRC-320 transceiver is 3 watts TX at low power and 30 watts TX at high power. With a full battery, however, this cuts back to 25 watts after the first 5 seconds of TX. Since the radio was originally USB, AM and CW only, I modified it for LSB also. As it was manufactured to TX on the suppressed carrier frequency I’ve had to offset the USB frequency by + 2 kHz and for LSB – 1.2 kHz. For AM, I dial up the exact frequency. Since my Clansman PRC-320 arrived on my doorstep a few weeks ago, I’ve worked South Korea (D9) on 21 MHz a couple of times and a few Japanese (JA) stations also. I’ve had really good reports from these guys that the audio is very “punchy” and, from what I’ve read, this is how most tactical radios are. That is, naturally high mic gain, punchy audio for the battlefield, for covert ops, etc. On the 11m/citizens band, I’ve been listening to heaps of propagation also but have only worked a couple of Western Australian stations (43 Division) and one in the Hawaiian Islands (17 Division) within the legal frequency allocation (26.965 MHz – 27.405 MHz). 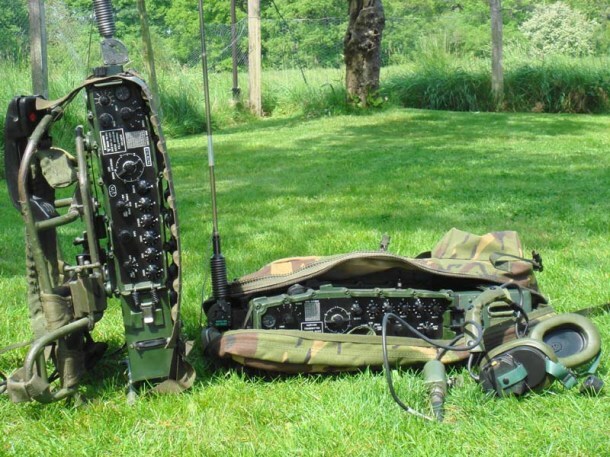 This fantastic old military rig includes a built-in Antenna Tuning Unit (ATU) which electrically matches the accompanying 2.4m manpack whip antenna length to the radio frequency in use. The ATU can also match any other wire antenna to the operating frequency. The PRC-320 whip (See right) is mainly for localized operations using HF groundwave, although I’ve pretty much been listening to stations all over the world on it. US, Aussie, NZ and PNG military, international aviation including New York Radio, international marine, outback land mobile, the Royal Flying Doctor Service and many more; as well as ham and 11m stations from North and South America, Europe, Asia and Oceania regions. As the whip isn’t ideal for DX transmit, I’ve been throwing up the wire dipole antenna, which the radio also came with, for HF Skywave operation to give me a better chance of being heard. This antenna works fairly well. Once I get my QTH wire antennas sorted out though these results will improve greatly. The Clansman PRC-320 uses a 5ah NicD battery pack so I decided to purchase 2 x brand new batteries at the same time. Only powering up for a couple of hours each day, these have been lasting me about a week and a half before needing to be re-charged. This is very convenient. 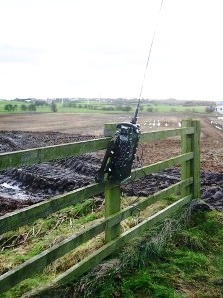 As the name PRC (Portable Radio Communicator) suggests, the unit is purpose built for portable ops. 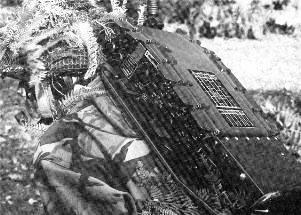 It actually replaced the old Larkspur radio system as it was more flexible, reliable and far lighter. With this in mind, I’m planning to take the radio to the beach at some stage, just with the 2.4m whip antenna, and will try to use the ocean as a counterpoise. This should work really well. 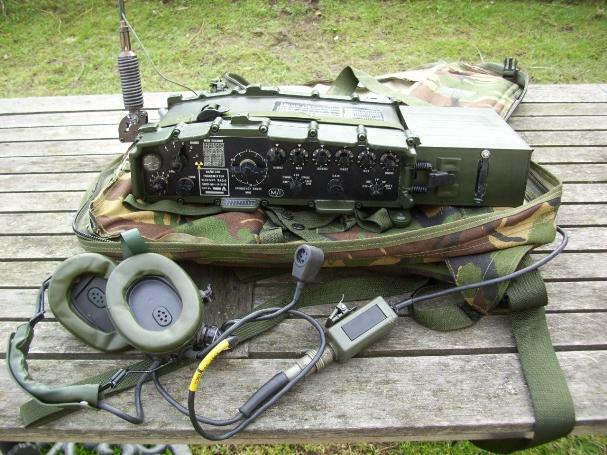 If you’re keen to try out this radio first hand, the Clansman UK/RT320 or PRC320 were replaced in the mid-2000s by the new Bowman communication system so there’s often a few floating around on eBay with the full kit going for around $600 AUD. Despite being some 35 years old, this one is in great condition. One task which needs to be completed soon, though, is to replace the old PSU and synch capacitors — just in case they decide to leak. I can’t wait for my shoulder to get better so I can take it back-packing/hiking over summer — maybe a SOTA on top of Mount Warning in northern New South Wales?!?!?! Have you found an ideal length of wire to operate on the RT320. What type of antennas do you normally use for the radio. I have recently purchased a RT320 and experimenting with antennas. 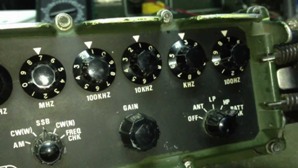 How did you modify the radio for the LSB operation? Thank you. A very nicely written and enlightening article on a real gem amongst radios. Most appreciated. I finally swapped out the old 35 year old PSU and synthesizer capacitors today! It wasnt necessary, however because of the age of the unit I decided to do this as a precautionary measure just in case they leaked at some point in the future! I HIGHLY recommend one of these radios to anyone wanting to work QRP, especially if you love camping, hiking or any other outdoor activity! Keep an eye out on eBay worldwide (especially the UK) as they often have units listed. You can normally pick up a full “battle kit” so you can hit the ground running when it arrives! If you do decide to purchase one, its far more convenient if you can get the seller to do the LSB mod for you, and while they’re at it, ask them if they can change the capacitors over as well! 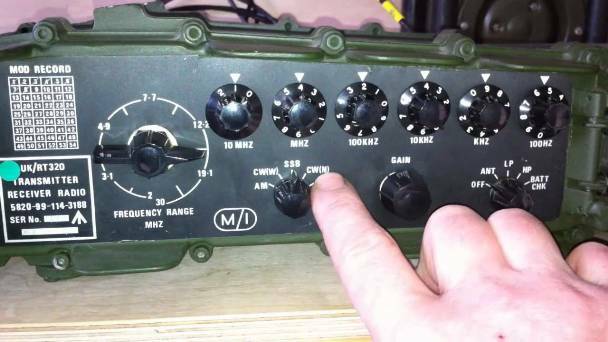 Most of the sellers on eBay appear to be ex army radio technicians or commercial radio technicians so most of them have either already done these things prior to sale, or will do it for you!